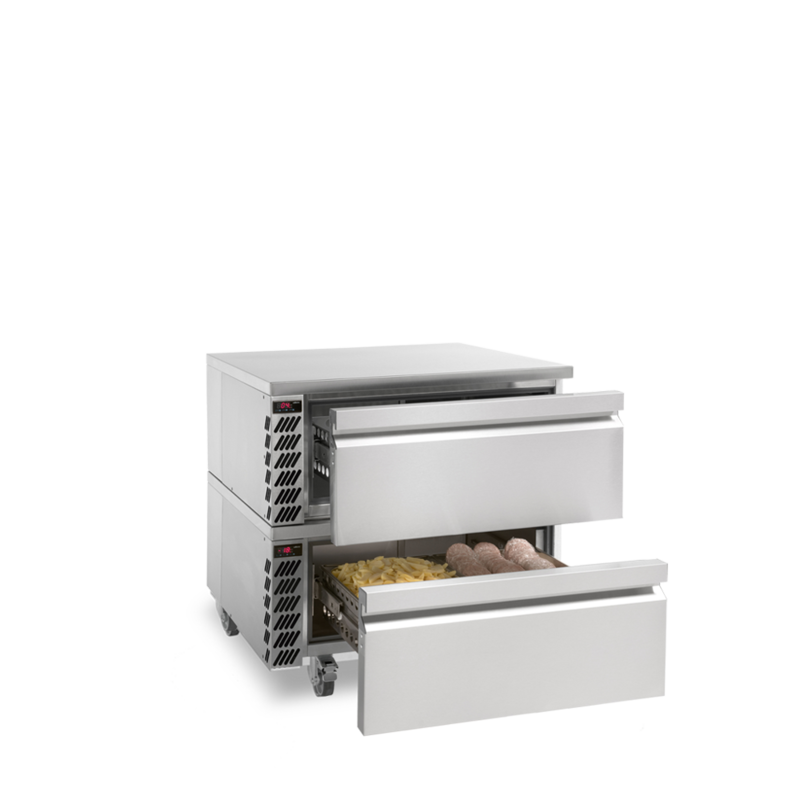 The Chef’s Drawer is designed to be totally practical and tough, to stand up to life in the busiest kitchen. 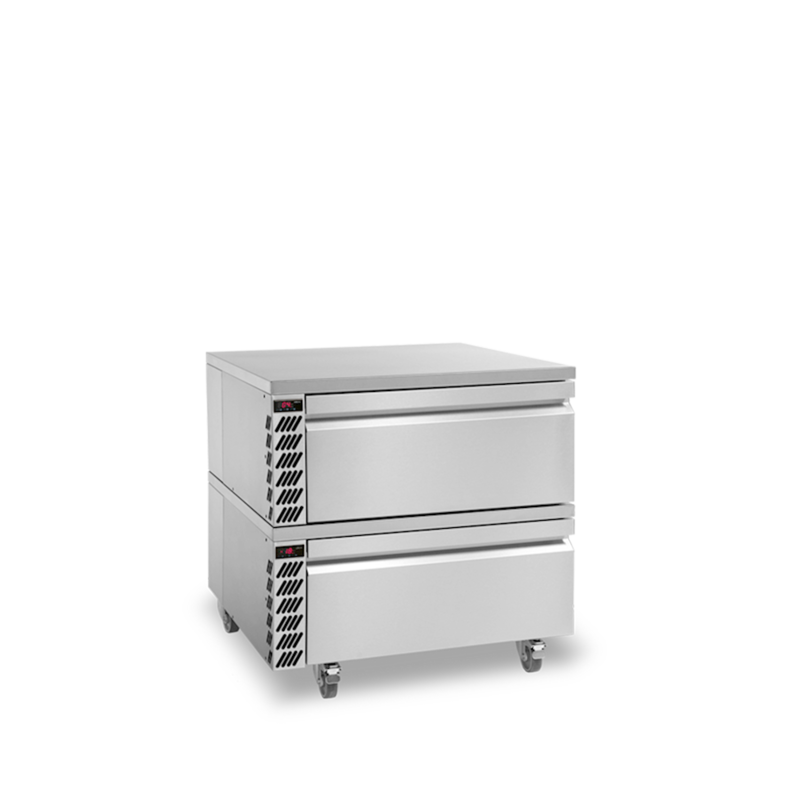 The Chef’s Drawer is the ultimate in convenience, providing bulk storage of fresh or frozen food right where you need it most and its low level height is perfect for suiting with many prime cooking stations. 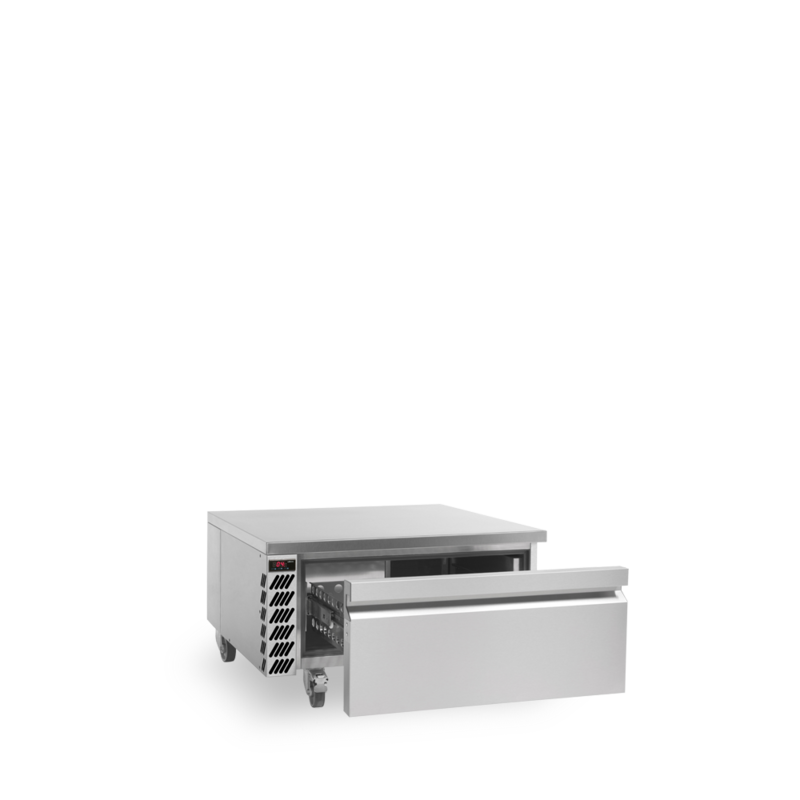 It is a large, space saving refrigerated drawer unit and is an ideal solution for pubs, steakhouses and catering facilities where space is often limited. • Models are available as a refrigerator or freezer. 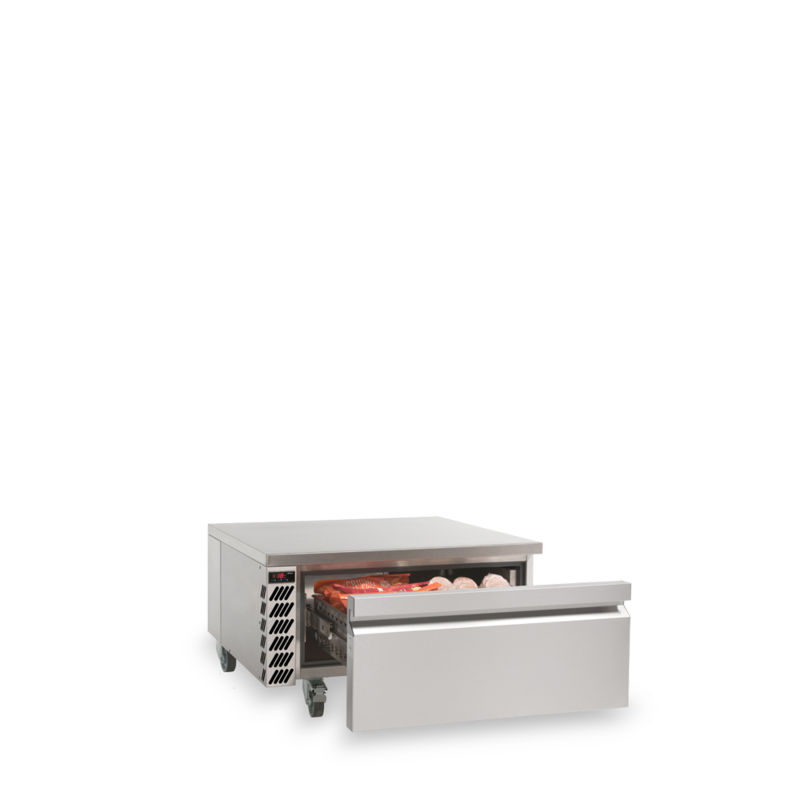 • Ability to be stacked for added flexibility and to maximise product footprint. 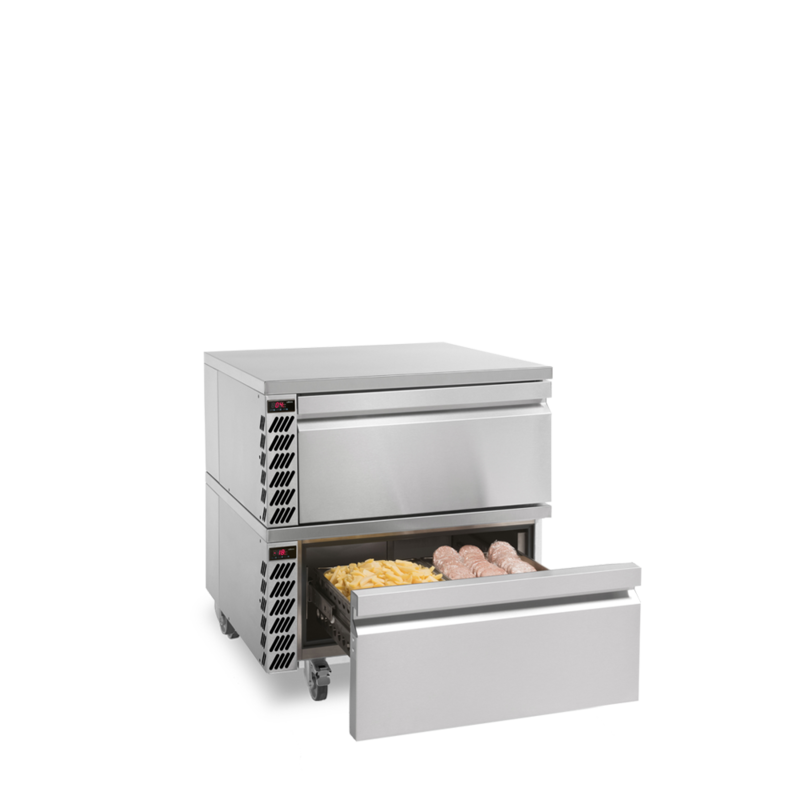 • Robust - built using tough stainless steel for its exterior and interior. 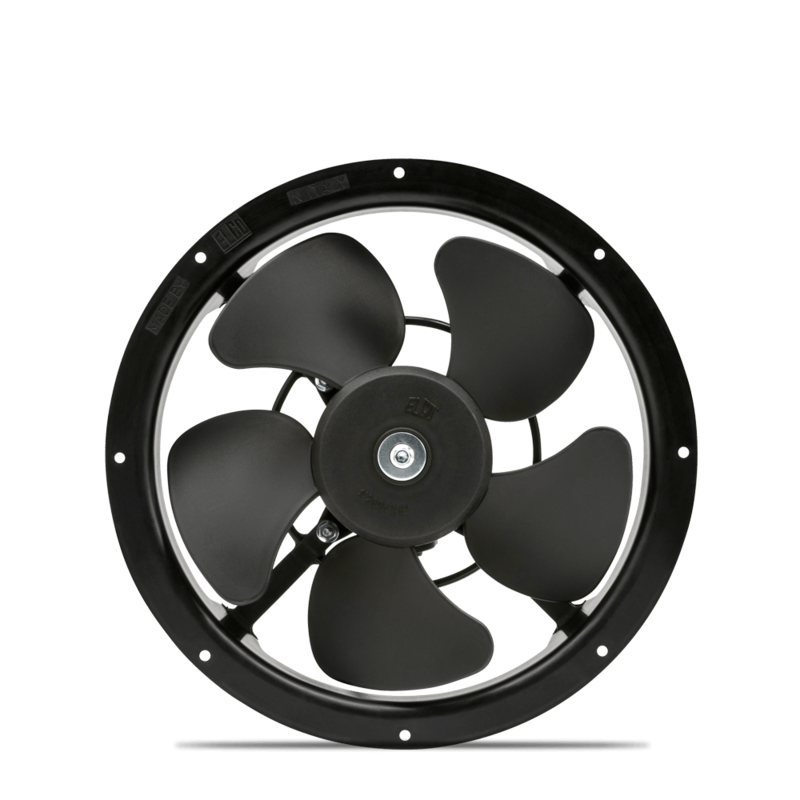 • Accommodates 2/1 GN pans, up to an impressive depth of 150mm. Removable drawers and fittings for ease of cleaning. 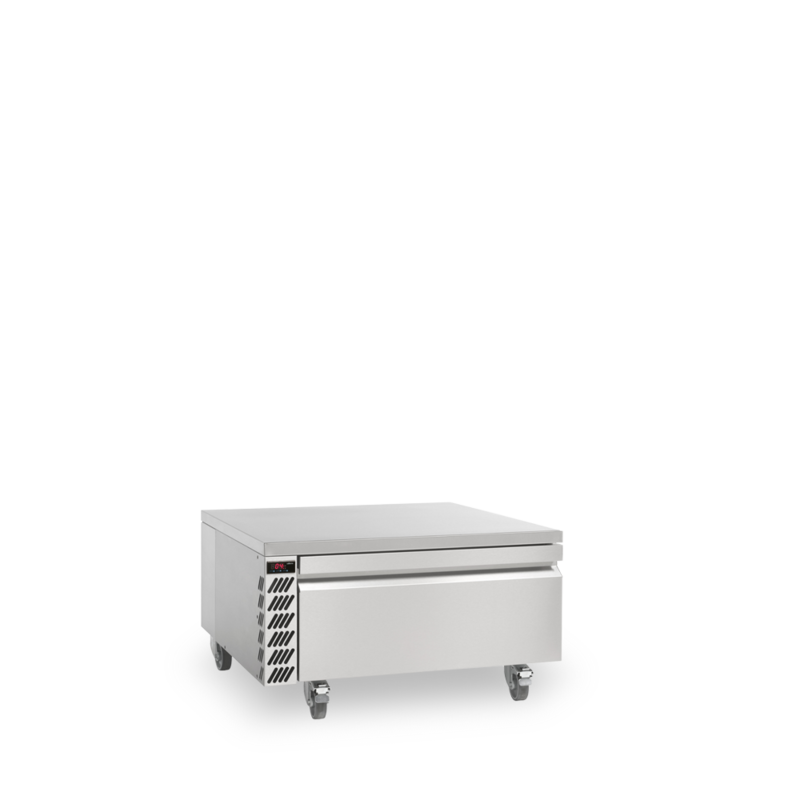 • Easily removable cassette type refrigeration system to help facilitate convenient on site servicing and maintenance. • Low level swivel and brake castors ensure controlled mobility and stability when positioning. • Precision injected, high density polyurethane insulation with low GWP (Global Warming Potential) and zero ODP (Ozone Depletion Potential). • Heavy duty, non-marking swivel castors with brakes. 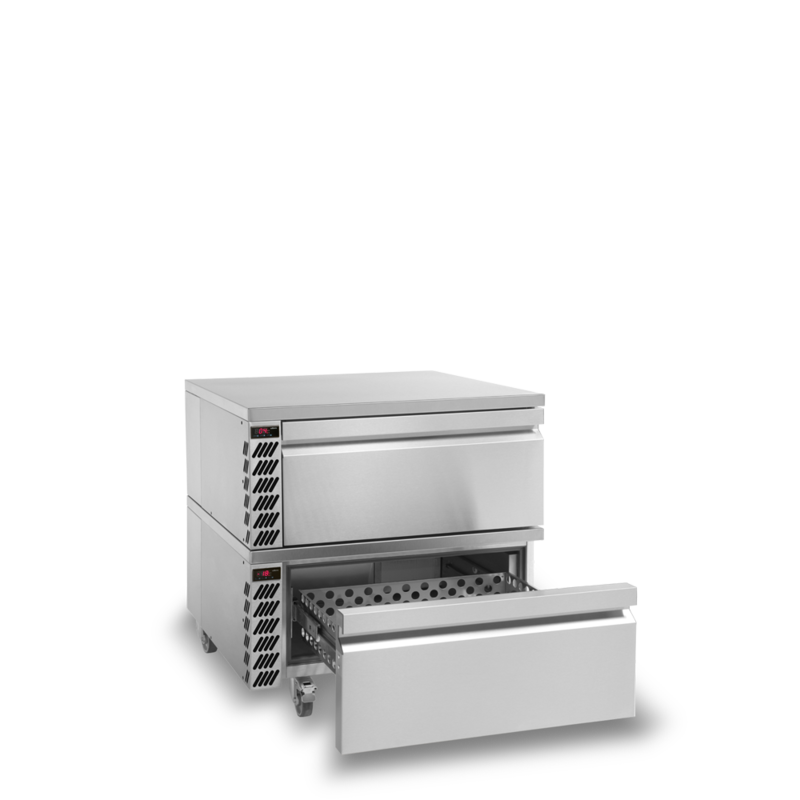 • Stacking capability for convenient refrigerator / freezer combination.